If you’re looking for a delicious custom made cake, then call us now! 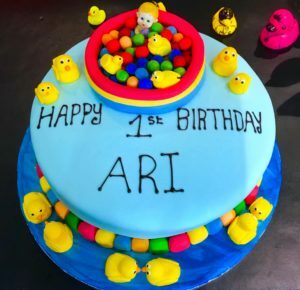 Jennifer’s Cakes was recently asked to create a delicious, dairy free, chocolate extravaganza for Ari for his 1st Birthday. The cake was made for 50 plus people and it went down so well.